Yoshihisa Hirano studied composing at Juilliard School in 1992, and later at Eastman School of Music. Some of the awards he has received include first prize in the Axia Tape Competition in Japan during his high school years and New York's New Music for Young Ensembles. He has composed music for concert, dance, film and radio with compositions ranging from classical to pop and contemporary music. 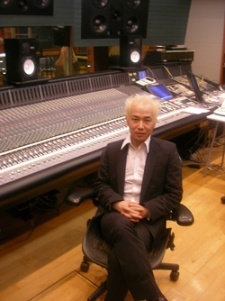 In recent years he has composed a number of anime soundtracks. He has also made music for Tokyo DisneySea's 2002 and 2004 countdown celebrations. Hirano has paired with pianist Masako Hosoda to form the unit Bleu and released two albums. He is also responsible for some of the orchestration and arrangement for a number of Ali Project's albums.